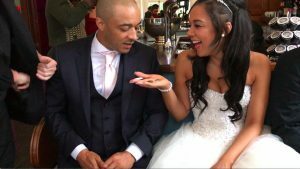 Warwickshire Wedding Magician Owen Strickland at Holiday Inn.Today saw Warwickshire Wedding Magician Owen Strickland at Holiday Inn. Congratulations to Kerri and Marc. First off was mix and mingle magic after the Wedding Breakfast. Then it was table magic for the first part of the evening reception. 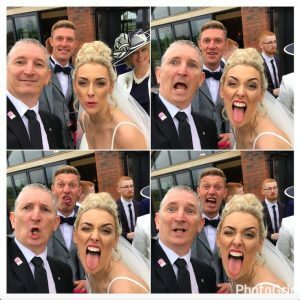 The couple booked me after seeing me at a previous wedding. This was Gemma and Vlads at Alrewas Hayes in 2015. 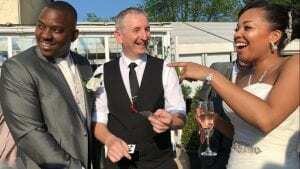 Warwickshire Wedding Magician at Warwick House-today it was lovely to be back at Warwick House. I have done so many wonderful weddings here in the last few years. 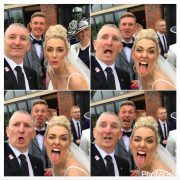 Today as Leigh and Stuarts Wedding. They had an Alice in Wonderland Theme and the room looked fabulous. It was also the first time I have walked into a venue and there was more playing cards there than I brought with me. Pendrell Hall Magic with Owen Strickland- back at one of my most frequent Venues. This evening’s booking was for Serena and Paul. 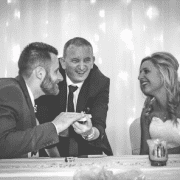 I am pictured below doing my special tricks for the happy couple.This always goes down well and creates wonderful reaction shots. 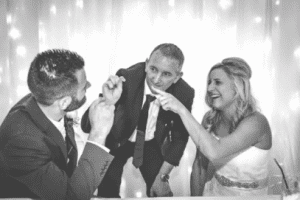 Moor Hall Wedding Magician Owen Strickland-Today was the wedding of Warren and Emma. This was an evening reception booking as the room was turned around. 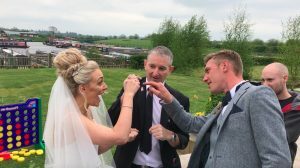 It was nice that this wedding finally arrived.It was the first booking I took after Moor Hall started to recommend me last year. 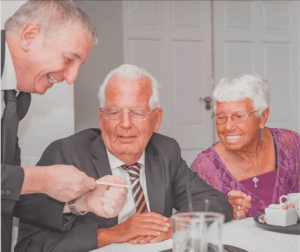 Aston Marina Magic with Staffordshire Magician Owen Strickland-today I was back at the lovely Aston marina for the Wedding of Kirsten and Dan. It was one of those weddings where I could have stayed all day!! Everyone was such a laugh it was great. 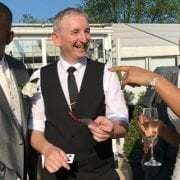 A guest kindly recorded the part where i perform for the bride and groom. I will be making a new showreel with some clips from this. In the meantime here are some stills capturing their reactions. 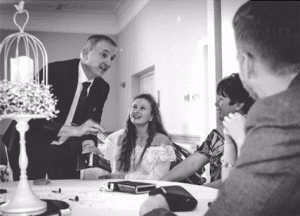 Kirsten booked me as a surprise for Dan after meeting me at a Wedding fair at Aston Marina last year. This is now quite a common thing that Im getting booked for. I can do a funny little gag where I pretend to be a waiter and approach the couple. I ask what drink they would like, with a notepad in hand. Whatever drink is said, I say that “we have run out”. After a few attempts the pad changes into a pack of cards and I say “How about a card trick then”. It goes down very well.